← Reading and Riding and Rythmatic! So, I had a full week and a half of epic bicycle riding, including riding our entire trail system one day (22 miles round trip) and lots of quick trips here and there. And then it started to rain. Let me clarify, the skies opened up and we had torrential downpours, severe thunderstorms and flash flooding. The rain started last week on Wednesday (we rode Tuesday) and won’t be completely gone until this upcoming weekend. That’s right, a solid 10 days of a 30% or higher chance of rain every single day. Now, I would LOVE to say I’m one of those people who can ride in the rain and NOT get wet. I’m not. No, I’m one of the people who is instantly waterlogged and invariably get soaked, muddy and end up looking like a drowned sewer rat basically. Now, fast forward to Friday, my husband is getting sicker by the day, and I’m right behind him. By Saturday I was laid out , sicker than a dog , sleeping 12-16 hours in the day. And then there is this week. I know, it’s ridiculous right? 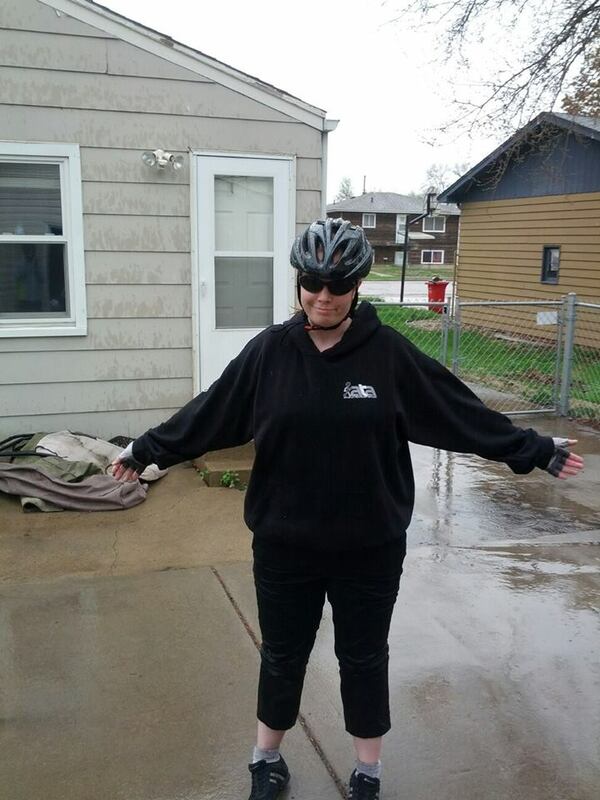 If nothing else, I was able to ride for a bit yesterday, at least as far as the 3rd flooded area of the bike trails were concerned. Maybe I should look at this like divine intervention, because lord knows, worse things could happen than losing a day of riding!